The item is new in box. CHECK-OUT PAGE. Chevelle 1970. HOT WHEELS. Series Hot Wheels Classics. Vehicle Year 1970. Serie clásicos 1. Scale 1:64. DACONVTU4 TUADD1RIC18 TUADD1RIC18 TUADD1. Hacemos envíos combinados para todos los artículos, ajustando los gastos de envío al peso final del pedido. Realizamos envíos a todo el mundo por servicio postal. Envíos por empresas de mensajería, pidan cotización. Recogidas en nuestras instalaciones sin gastos de envío. De Pocher Lamborghini Aventador. Tapicería autoadhesiva para la Pocher Hornby. autograph Albedo Arena AMT & Ertl aventador AWM Bang azrm Aston Martin Audi Austin Healey bandai barchetta bbk berlinetta mg model Bburago burago Bentley Bestbox Best Box. #6 / 32 ~ 40 WOODIE. Model WOODIE. CAMINO DE HW TRIPPIN. RUTA ESTATAL DE 360. Year of Release 2014. UPC 887961007077. Vehicle Type CAR. Scale 1:64. Matchbox kingsize K-18 Ford Lts Serie & articulado volquete. c1973. MBC. Here I have 2 Matchbox KingSize K-18 Ford LTS Series & Articulated Tipper Trailer from 1973 in very good condition. Truck & trailer are quite dirty from storage. Cab windows are a little dusty but no scratches. MATCHBOX LESNEY No.37c Dodge Cattle Truck. MINT. Original vintage diecast 1966. Yellow body, grey box, two bulls, black plastic wheels, bare metal base. Very good: some nibbles, CHEAP SHIPPING! UK and Worldwide shipping. We no longer ship to South America, Italy, Israel, Middle East, China, Africa. Please do not bid if you are expecting shipping to these countries/regions. El transporte marítimo internacional disponible. No.18 - HONDARORA - YELLOW WITH RIDER. MATCHBOX SUPERFAST. 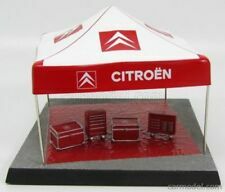 1/18 Scale Diecast Model by Autoart. Scale 1/18. Ending Soon. New Arrivals. The RM Toys Team. Kind Regards. MINT - The item is in perfect condition. Our aim is to ensure no matter what the model, we will provide an excellent service experience. 1/18 Scale Diecast Model by Sunstar. Scale 1/18. The MODEL is in EXCELLENT Condition - Previously displayed. The BOX is in GOOD Condition - Slight wear. Ending Soon. New Arrivals. The RM Toys Team. The car is in reasonable condition. Scale 1/18. SPARES or REPAIR - The item will be in a poor condition. The MODEL is in MINT Condition. The BOX is in EXCELLENT Condition. The RM Toys Team. Kind Regards. Our aim is to ensure no matter what the model, we will provide an excellent service experience. 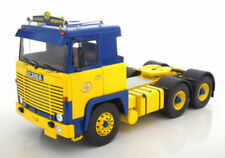 1/18 Scale Diecast Model by PMA. Material Diecast. Scale 1/18. Ending Soon. New Arrivals. The RM Toys Team. Kind Regards. MINT - The item is in perfect condition. 1/18 Scale Model by Autoart. Scale 1/18. The Model Is In NEAR MINT Condition - Previously displayed. The BOX is in EXCELLENT Condition.front of box fadded. MINT - The item is in perfect condition. Scale 1/18. MODEL is in NEAR MINT Condition. BOX is in EXCELLENT Condition. Ending Soon. New Arrivals. The RM Toys Team. Kind Regards. Our aim is to ensure no matter what the model, we will provide an excellent service experience. GO TO checkout. ADD each item TO BASKET and then when you have finished. IMPORTANT NOTICE. EACH MODEL IS WRAPPED IN BUBBLE WRAP. This is a Matchbox Superfast 18a Field Car. 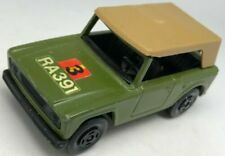 It has a Yellow Body, Brown Roof, White Interior, Unpainted Base and Tow Hook. No old labels or pen marks on the box. We have a number of diecast models and model soldiers for sale, old and new. 1/18 Scale DIECAST Model by Rastar. Material DIECAST. Scale 1/18. Ending Soon. New Arrivals. The RM Toys Team. Kind Regards. Our aim is to ensure no matter what the model, we will provide an excellent service experience. 1/18 Scale Diecast Model by Autoart. Material Diecast. Scale 1/18. Ending Soon. New Arrivals. The RM Toys Team. Kind Regards. Our aim is to ensure no matter what the model, we will provide an excellent service experience. 1/18 Scale Diecast Model by Maisto. Material Diecast. Scale 1/18. Ending Soon. New Arrivals. The RM Toys Team. Kind Regards. Our aim is to ensure no matter what the model, we will provide an excellent service experience. 1/18 Scale Diecast Model by GMP. Material Diecast. Scale 1/18. EXCELLENT - The item will have had very careful use, with only small imperfections. GOOD - The item will have had more use, showing obvious imperfections. 1/64th scale and 63mm long, made in England. 1/18 Scale Model by Autoart. Scale 1/18. The Model Is In Mint Condition. The Box Is In fair Condition - Worn/creased on top of box - small tear on end flap. Ending Soon. New Arrivals. The RM Toys Team. 1/18 Scale RESIN Model by LS Collectibles. Material RESIN. Scale 1/18. Ending Soon. New Arrivals. The RM Toys Team. Kind Regards. Our aim is to ensure no matter what the model, we will provide an excellent service experience. 1/18 Scale Model by OTTO. Scale 1/18. Ending Soon. New Arrivals. The RM Toys Team. Kind Regards. MINT - The item is in perfect condition. Our aim is to ensure no matter what the model, we will provide an excellent service experience. Scale 1/18. The MODEL Is In MINT Condition. The BOX Is In GOOD Condition. Our aim is to ensure no matter what the model, we will provide an excellent service experience. The RM Toys Team. Kind Regards. 1/18 Scale Model by AUTOWORLD. Scale 1/18. The MODEL is in MINT condition. The BOX is in MINT condition. MINT - The item is in perfect condition. EXCELLENT - The item will have had very careful use, with only small imperfections. 1/18 Scale Diecast Model by Kyosho. Scale 1/18. Ending Soon. New Arrivals. The RM Toys Team. Kind Regards. Our aim is to ensure no matter what the model, we will provide an excellent service experience. Most of our toys are given a condition grading consisting of 2 letters. The first refers to the model and the second refers to the box i.e. A/B. Produced to = 1970. Produced from = 1969. Weight = 269 gms. 1/18 Scale Resin Model by bos. Material Resin. Scale 1/18. EXCELLENT - The item will have had very careful use, with only small imperfections. GOOD - The item will have had more use, showing obvious imperfections. 1/18 Scale Model by OTTO. Scale 1/18. FAIR - The item will have heavy signs of wear, showing major imperfections. The MODEL is in MINT condition. The BOX is in MINT condition. Our aim is to ensure no matter what the model, we will provide an excellent service experience. 1/18 Scale Model by BURAGO. Scale 1/18. The Model Is In MINT Condition. The Box Is In EXCELLENT Condition. FAIR - The item will have heavy signs of wear, showing major imperfections. Our aim is to ensure no matter what the model, we will provide an excellent service experience. 1/18 Scale Model by SIGNATURE. Scale 1/18. EXCELLENT - The item will have had very careful use, with only small imperfections. GOOD - The item will have had more use, showing obvious imperfections. 1/18 Scale Model by KYOSHO. Scale 1/18. SPARES or REPAIR - The item will be in a poor condition. Our aim is to ensure no matter what the model, we will provide an excellent service experience. The RM Toys Team. 1/18 Scale Model by ANSON. Scale 1/18. Ending Soon. New Arrivals. The RM Toys Team. Kind Regards. Our aim is to ensure no matter what the model, we will provide an excellent service experience. GRADING CONDITIONS. 1/18 Scale Diecast Model by HOT WHEELS. Scale 1/18. GOOD - The item will have had more use, showing obvious imperfections. New Arrivals. The RM Toys Team. Kind Regards. Safe & Secure. Our aim is to ensure no matter what the model, we will provide an excellent service experience. 1/18 Scale Diecast Model by Anson. Material Diecast. Scale 1/18. Ending Soon. New Arrivals. The RM Toys Team. Kind Regards. Our aim is to ensure no matter what the model, we will provide an excellent service experience. 1/18 Scale Diecast Model by Sunstar. Material Diecast. Scale 1/18. The BOX is in GOOD Condition - Worn / box appears dirty. SPARES or REPAIR - The item will be in a poor condition. New Arrivals. Add to Favourites. Material DIECAST. Car has been hand signed. We cannot certify if genuine or not. The BOX is in the following condition - EXCELLENT - Slight wear. Our aim is to ensure no matter what the model, we will provide an excellent service experience. This is a Lesney Matchbox Regular Wheels 1-75 18e Field Car. It has a Yellow Body, Brown Roof, White Interior, Black Base, Red Wheel Hubs and Tow Hook. Model Condition : Original - Near Mint - Paintwork is very nice with just the odd very slight rub. MI NT= Perfect new condition. VERY NEAR MINT - Almost perfect with only minor creasing, minor corner wear. 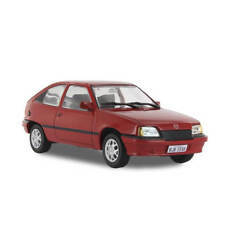 USED= Item will be in need of restoration or for spares/ repair, broken and/or missing parts.